It’s really a novella and a dense, complex and surreal little book on top of which it’s beautifully written. The word minimalist fits exactly. Perhaps also some magical realism – I don’t know – It’s historical fiction with some realism at it’s base but infused with the stuff of fairy tales and delusions, maybe magical realism or possibly allegorical themes. Brilliant in its unexpected depth and plot surprises. knows how to create shelter in the blizzards. He considers the vixen to be a “daughter of Reynard.” Reynard the fox was a mythological fox of Europe. 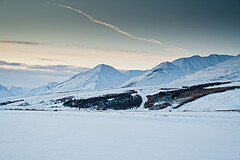 There are other allusions to a couple other fairy tales – The Snow Queen, Jack Frost and old Norse mythology – Odin. The symbolism of the fox is important later in the novel and I believe she contributes to the sense of magical realism – the post-colonial element. Also, of interest before I get too far – The title is ambiguous. On the one hand it refers to a phenomenon of the popular legends – the offspring of a cat and a fox – and at the same time it means an evil spirit (or a sinister person). The French title for The Blue Fox is “Le moindre des mondes”, or, literally, ” the least of worlds” (a reference to Iceland?) 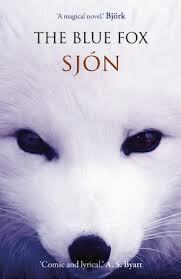 The original title, in Icelandic, is “Skugga-Baldur” which means “Baldur the Shadow” or “Shadow-Baldur.” The man in the first chapter, killing the fox, is named Baldur Skuggason or “son of shadow.” And Baldur is the name of a good Norse god. Fwiw, Baldur Skuggason is NOT a good guy. Part 2 takes place on January 8-9, 1883, a day earlier than Part 1. It’s now set on the east coast of Iceland and there are several characters. 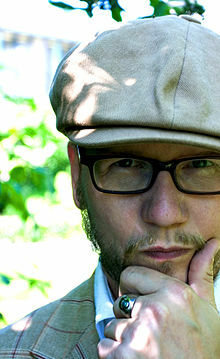 Fridrik B. Fridjonsson who has returned to dispose of his parents’ home after their deaths, Halfdan Atlason, his neighbor who has Down’s Syndrome (“Baldur’s eedjit”) and Abba who is deceased, Fridrick’s helper for a short time. 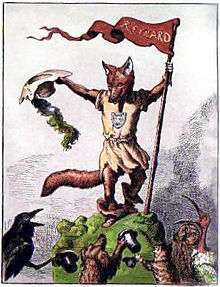 Reynard-the-fox from a 19th century children’s book. The story then goes into several back stories regarding how Fridrick left Iceland for Copenhagen but returned when his parents died. He returned only a couple months after Abba got to Iceland and Fridrik never left again. The plot revolves around two men, Fririk and Baldur Skuggason, the new rather brutal preacher. A bit at a time more is learned about Abba. The ravens Reverend Baldur comes across in Section 3 could represent or symbolize many things – evil and death, tricksters and thieving, and/or prophesy-wisdom. Having two lightens the effect, more merriment – probably a trickster. The vixen symbolizes something else – not quite sure what.